After dropping their first game against Complexity Gaming (coL), Singapore’s Team Zenith came back strongly to take the best-of-three series 2-1 in the quarterfinals of the winners’ bracket at The International Dota 2 Championships 2012. In the first game, Zenith opted for an unusual lineup of mainly intelligence heroes, designed presumably to push and take coL out quickly, with the Tinker, Chaos Knight, Queen of Pain, Lina, and the surprise pick, the Keeper of the Light. In response, coL went for Chen, Invoker, Naga Siren, Beastmaster and Rubick. Zenith tried to be aggressive with their hard hitting heroes. Unfortunately for them, their plans didn’t unfold smoothly as coL counter-ganked them at every turn. With Zenith losing multiple engagements, coL’s Naga Siren uninterrupted farming, and the American team being backed by a partisan crowd, coL took the first game 41:01 in convincing fashion. Zenith is not a team not to run the same strategies over and over again, and this proved the case in the second game. Zenith went for Invoker, Morphling, Venomancer, Queen of Pain, and Ancient Apparition. coL picked up a Templar Assasin, Leshrac, Tidehunter, Tiny and Lich. With the Invoker pick for iceiceice and xFreedom’s Ancient Apparition having global hit range spells, Zenith this time sat back and waited for coL to come at them, while harassing them and picking them off from afar. This proved to be an effective strategy, allowing hyhy’s Morphling to wreak serious damage to coL’s heroes. Zenith quickly took the second game 28:01 to level the series. Surprisingly, Zenith went for an almost identical pick in the deciding game of the series. Invoker, Ancient Apparition, and Morphling were picked again, with Bounty Hunter and Tidehunter the changes. (One wonders why coL didn’t ban the Invoker and Apparition after the damage those heroes caused in Game 2). coL went for Mirana, Prophet, Beastmaster, Venomancer, and the Antimage. Zenith took a stranglehold on the third game quickly, with their individual skills shining through. Surprisingly though, coL didn’t take the game to Zenith, with Mirana playing a support role and the Antimage being the sole carry. This allowed Zenith to slowly exert pressure over the course of the game and take down coL’s towers one by one. In 33:01, calls of GG were given by coL, as Zenith advanced to the semis. Zenith will need to step up their game in the next round though. They will be facing a dominant LGD, who has been undefeated thus far in this year’s tournament. 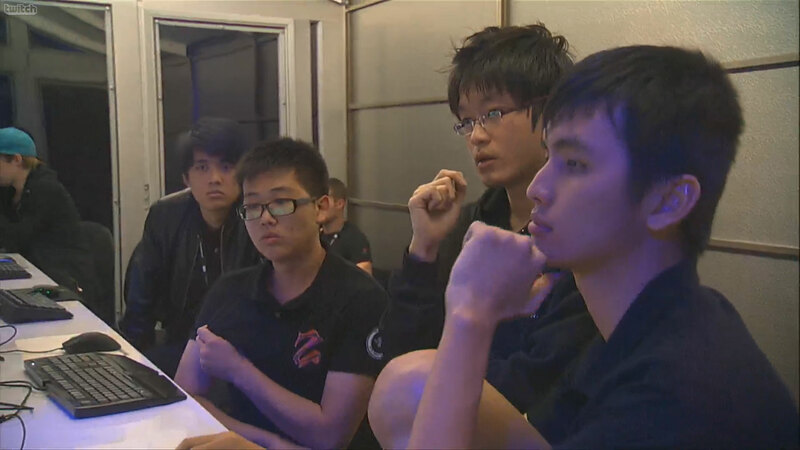 The Chinese team dismantled Orange E-Sports in the previous game 2-0. It is also of concern to see Loda appearing to be detached from the rest of the team as they made their pregame picks. Zenith simply cannot afford to make any mistakes against an in-form LGD. In the other games from the winners’ bracket, the other teams to progress are Invictus Gaming and Na`Vi, with Evil Geniuses and DK falling to the losers’ bracket. In the best-of-one Series in the losers’ bracket, mTw were sent home by Counter Logic Gaming; EHOME stamped their authority over mousesports; TongFu beat out M5; and Darer triumphed over Absolute Legends. The International continues tonight at about 12:30am Singapore time.